Ambode Accept Intimidation, Defeat To Escape Impeachment? If men of good conscience don't come together and form a strong party that can salvage the Nation, things will continue to this way. A single good man will get into a party controlled by greedy godfathers and become a casualty of intimidation. There were indications on Wednesday that the Lagos State Governor, Akinwunmi Ambode, conceded victory to Babajide Sanwo-Olu, for the APC governorship ticket in Lagos, to calm frayed nerves and avert impeachment. 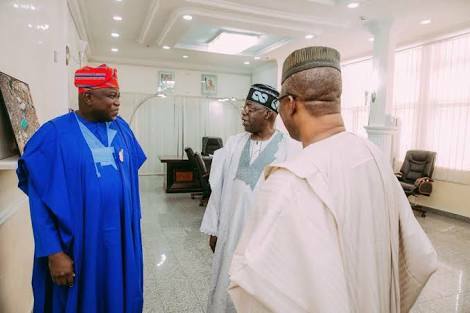 The Punch gathered through sources in both Ambode and Asiwaju Bola Tinubu’s camps that the move was meant to remove the tension, as well as avert the impeachment move being considered by party elders.